I know many women (and men) who have come out of abusive relationships. Sometimes they jump right back into one. There are many reasons for this. One of them is that they feel adrift without their abusive mate, and they have not yet learned to value themselves. So, they rush into a new relationship before they have completely healed from the last one, and wake one morning to find they are in another abusive relationship. 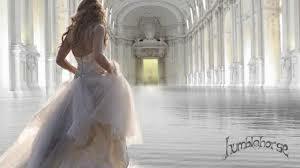 Do you know that every Christian is the bride of Christ? Does this mean anything to you? If you are His bride, then, for now, I recommend you consider Jesus your husband. Several years after I left my abuser, when my second husband and I began seeing each other, I shared Joshua Harris’s book I Kissed Dating Goodbye* with him. I told him I was in no rush to jump into a relationship. I wanted to take things slowly and determine if he was the man God wanted me to marry. In return, he shared a poem with me he had been living by. We don’t know who wrote it, but we have shared it with many single people who long for a spouse. I pray it comforts you. Just keep watching Me, expecting the greatest things. Keep listening to the things that I tell you. That’s all. Don’t be anxious. Don’t worry. gotten or that I have given them. miss what I want to show you. And dear one, I want you to have this most wonderful love. I am God. Believe it and be satisfied. It was about 4 years ago, give or take. I walked into the room after my 9am-6pm saturday job that followed my 40 hour work week other job. He sat on the couch behind his computer. I didnt think he noticed me when i walked in until he informed me the bathroom needed to be cleaned. After I told him he could clean it, after all he had been home all day doing nothing. Seconds later he was using my face to scrub the floor infront of the toilet until my head hit the baseboard heaters edge. Sometimes I dont know how to answer..
Over a series of events that occured because I spoke what I think, ive become quiet, well sometimes. I have the answers in my mind, however i go over every possible reaction that could result if i say what i want. -It was a cold winters night i was in the passengers seat and he asked me which exit to take. I said the wrong one. So minutes later he demanded I get out of the car into a empty parking lot in the middle of a big city and he left me, no phone, no coat. -He told me to eat lettuce because apparently I was gaining pregnant. I dont actually know if I got a chance to respond before he was ontop of my stomach slapping my face over and over. -I was on the phone with my parents, with a newborn in my lap, just waking up about to invite them over when i said the wrong thing. I said he just woke and is playing the guitar. Seconds later the guitar was thrown at me and the baby, followed by an hour of hiding in a small room with the door locked while he was in a rage screaming at me to let him in. -I was told not to nurse, because his google 101 made up theories told him the newborn was crying while I was gone at work because the baby must be allergic to breast milk. I was caught nursing when seconds later he was holding a knife to my body threatening to cut my breasts off, while pinning me behind the door, the door digging into my c section. Thats when I began to pray. I prayed he would stop and not cut into me, because if he did he would turn and hurt the baby. I left the radio station in my vehicle on a christian radio station. After he borrowed my car he came into the room. The baby was watching me fold clothes. He told me I wasnt allowed to listen to that Christian crap. I wasnt allowed to teach our baby about God, I wasnt allowed to believe in God. I said no, I love Him. Seconds later he almost squeezed the life out of me, and thats when i started to pray. I prayed that God would keep me alive because if I were to die he would turn his rage on the baby. I screamed out to God from my thoughts. The room went black then he let go, i tried to breath but he hit my face. He continued to beat me, pounce me, kick me in my stomach, kick my ribs, my back, he dragged me around the room and threw my helpless body on the bed. I saw the evil in his eyes as I prayed. Sometimes you dont think God is present or listening because things happen in life, however I will tell you to open the eyes of your heart and watch what God can do. -God was there with me in the parking lot, I wasnt harmed. -God was there with me when my face cleaned the floor, I walked away. -God was there when I cried clinging my baby from a small room, we both survived. -God was there when the knife was too close, because he threw the knife away from me. -God was there after he beat me and almost cut up my face with scissors, because he suddenly realized what he was doing and left the room. -God was there because the baby was never hurt badly. -God has healed because writing this is like writing about some story that I didnt live, a year ago it would of shattered me to remember. God is always there. Not sometimes, all the time. You write beautifully. I was riveted as I read your comment. I pray you have or soon will find a way to safely leave this very dangerous situation. If you haven’t already, please read my blog on safety planning.